Oh my God, these are so good. So so so good. 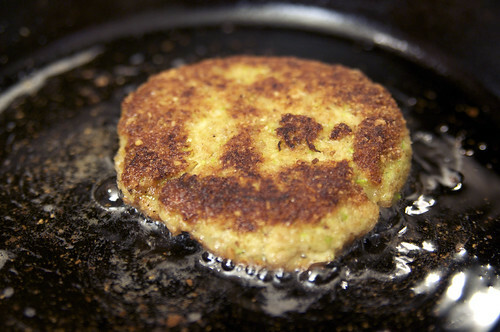 I may never make real crab cakes* now, that is how good these are. I made a batch of these for dinner tonight, and I couldn't wait till I was done editing the photos and typing up the full post to share it, so here is a liiiiiittle peak at what you can look forward to tomorrow. You will make them and eat them and say "Nom nom nom," that is how good these taste. *This is a lie, my gram has a legendary crab cake recipe.